The traditional view of evidence in mathematics is that evidence is just proof and proof is just derivation. There are good reasons for thinking that this view should be rejected: it misrepresents both historical and current mathematical practice. Nonetheless, evidence, proof, and derivation are closely intertwined. This paper seeks to tease these concepts apart. It emphasizes the role of argumentation as a context shared by evidence, proofs, and derivations. The utility of argumentation theory, in general, and argumentation schemes, in particular, as a methodology for the study of mathematical practice is thereby demonstrated. Argumentation schemes represent an almost untapped resource for mathematics education. Notably, they provide a consistent treatment of rigorous and non-rigorous argumentation, thereby working to exhibit the continuity of reasoning in mathematics with reasoning in other areas. Moreover, since argumentation schemes are a comparatively mature methodology, there is a substantial body of existing work to draw upon, including some increasingly sophisticated software tools. Such tools have significant potential for the analysis and evaluation of mathematical argumentation. The first four sections of the paper address the relationships of evidence to proof, proof to derivation, argument to proof, and argument to evidence, respectively. 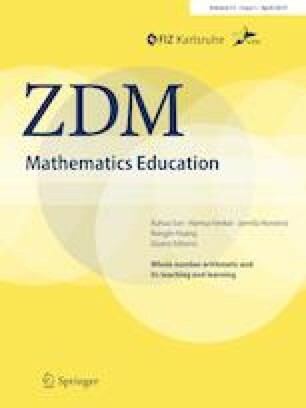 The final section directly addresses some of the educational implications of an argumentation scheme account of mathematical reasoning. I presented an earlier version of this paper at the interdisciplinary symposium on Mathematical Evidence and Argument held at the University of Bremen in 2017. I am grateful to the participants for their comments and particularly indebted to Christine Knipping and Eva Müller-Hill for their invitation and their hospitality in Bremen. I am also grateful to three anonymous referees for insightful and thorough comments.